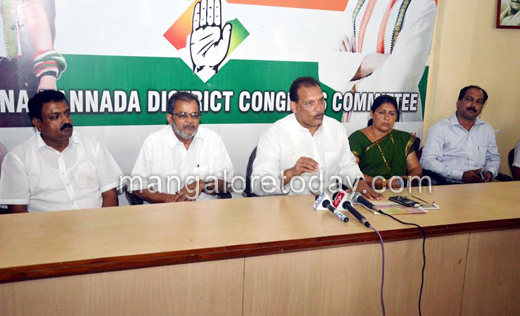 Mangaluru, Aug 28, 2015: MLC Ivan D’Souza said the union home minister has been requested to hold a review meeting on the development of investigations connected to moral policing in the district. Addressing media in the City August 27, he condemned the recent moral policing incident at Attavar. He said that he has spoken to the district in-charge minister and the home minister on conducting a review meet with the Police Department and follow up the investigations related to cases of moral policing. A meeting is likely to be held next month. Urging the government to initiate stern action against the culprits. MLC D’Souza also asked the Commissioner of Police to look into the issue of members of pro-Hindu organisations who were involved in the moral policing incident at Attavar. He lauded the officials from the Police Department for arresting the accused within 24 hours of the incident. 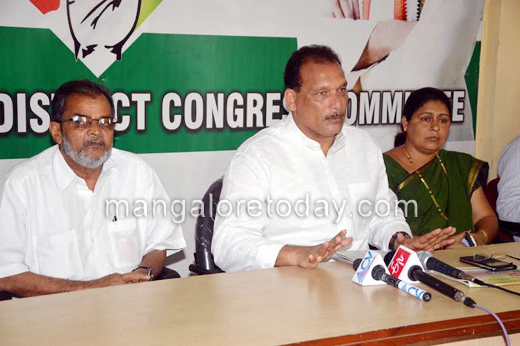 Responding to a query on the Yettinahole project, MLC D’Souza said that government stand was his stand too. Mayor Jacintha Vijay Alfred and Congress district unit president Ibrahim Kodijal were among those present.